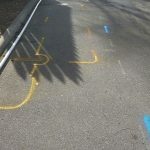 The American Public Works Association has developed a color code for marking underground utilities across the United States. This standard keeps us all on the same page and makes the world we live and work in a little bit safer for everyone. The most common colors people might encounter are orange, red, yellow, and blue. Orange painted lines on the ground represent communications lines such as fiber optic telephone or broadband internet cables, but can also include cables carrying traffic, railroad, or other signaling information as well. 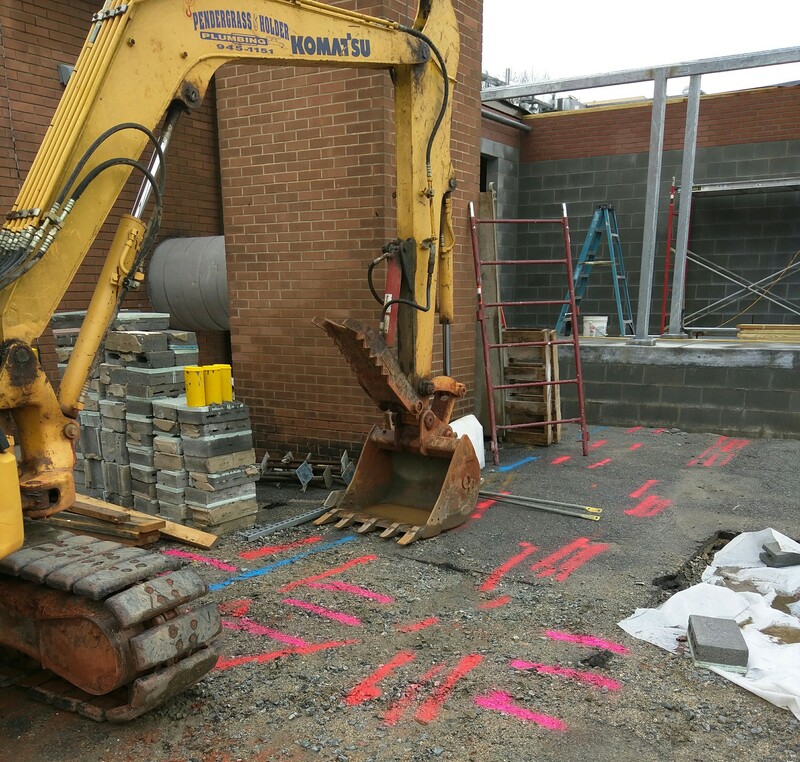 Red paint indicates the presence underground electrical wires. 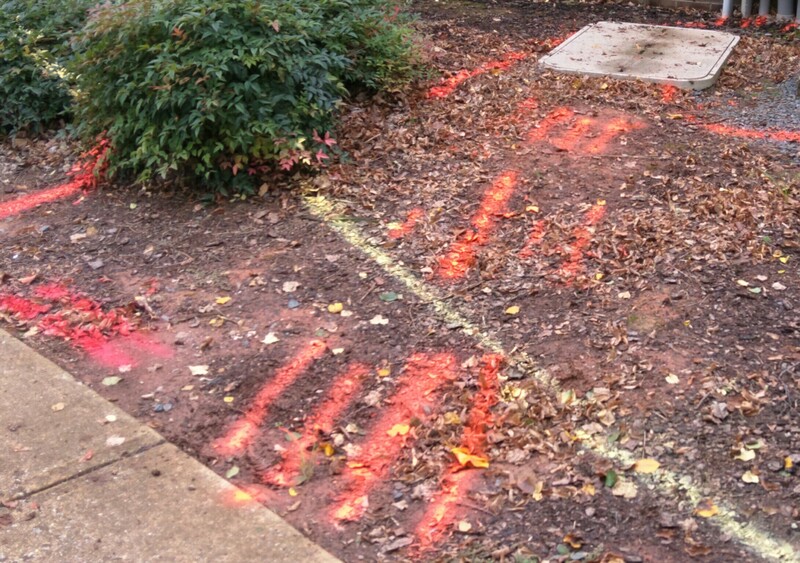 A red mark on the ground can represent electrical power ranging from low voltage decorative lighting to high voltage distribution systems. You should always use extreme caution around any facilities painted or flagged. The color yellow is used to designate petroleum products in either liquid or gaseous form, as well as pressurized steam pipelines. 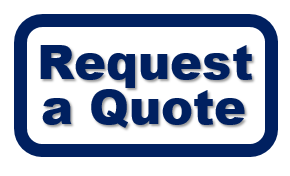 Natural gas and propane are probably the two most common gases found in residential and commercial settings today. Cross country petroleum transmission pipelines are also usually marked in this color. 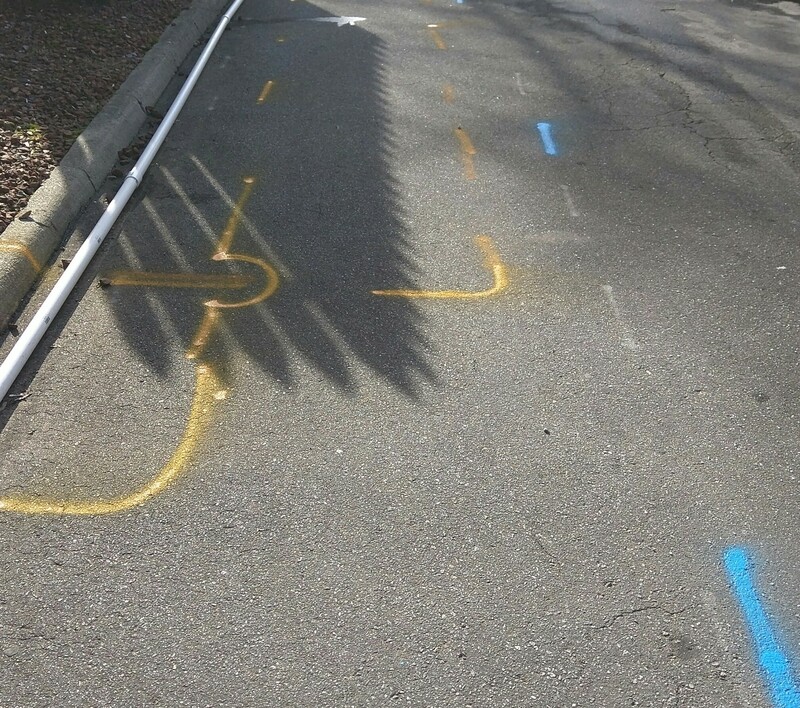 It is a felony to deface temporary or permanent pipeline markings. Potable or drinking water is marked with blue paint or flags. This includes the water mains delivering municipal water to your home or business as well as water from wells used for human consumption. Purple marks mean the water in the pipe below has been reclaimed. Reclaimed water id unfit for human consumption. Green paint indicates the presence of underground sewage pipes Pressurized sewer pipes are called forced mains. These systems depend on mechanical pressure to move waste water from one place to another, rather than relying on gravity to get the job done. You do not want to be present if a forced sewer main is ruptured. Pink paint is used for temporary survey markings and may indicate anything from an underground utility to a surveyor’s reference point. I often use pink paint to mark utilities I cannot otherwise identify. 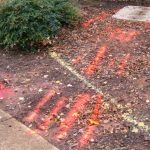 Any lines painted or flagged should always be treated as an unknown until you have physically verified the utility or utilities beneath the surface by visual inspection. 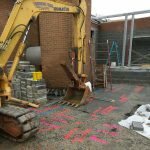 Professional locators do our best to provide accurate information to those who utilize our work, but we’d rather mislabel a facility than leave it unmarked. For more information, please visit the American Public Works Association or Common Ground Alliance.